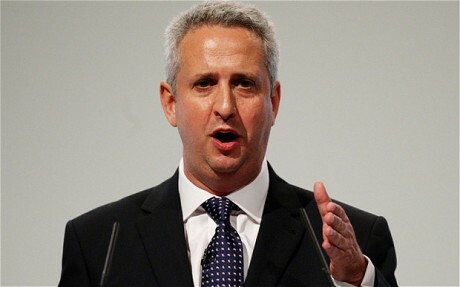 It is about 6 months since Ed Miliband appointed Ivan Lewis the Shadow Secretary of State for International Development. He spent the day at IDS yesterday meeting some of our teams working on conflict and violence, on governance institutions in Africa, on Rio+20 and on economic growth. He ended the day by giving a Sussex Development Lecture. It is good that the Labour Party now has a strong focal point for International Development. The Shadow SoS outlined his three priority areas: (a) holding the government to account (e.g. 0.7 % of GNI), (b) developing new longer term policy positions, and (c) some interim projects designed to promote innovation and commitment. One of his big ideas is to develop a new covenant on international development, one that goes beyond aid, beyond developed and developing countries and beyond the MDG agenda. The details are yet to emerge and are being worked up by various policy review processes and through meetings with organisations inside and outside the sector. I was impressed by the SSoS and by his energy and commitment to international development. I hope he is allowed to stay in the post long enough to develop some of these ideas and turn them into concrete proposals. During our conversations Rio+20 and the SDGs kept popping up (see Simon Maxwell's interesting Green Growth Guarantee and an interesting session my colleage Melissa Leach chaired on these issues at the recent Planet Under Pressure conference. (I have to admit not being able to get too excited by the upcoming summits, I think I am jaded by them. By the way I find the OECD's green growth definitions worrying--no mention of poverty reduction: what would you rather have, poverty reducing growth or green growth--they ain't necessarily the same folks). Some of the GDGs could be adopted and adapted by each country, the rest would rely on collective action.